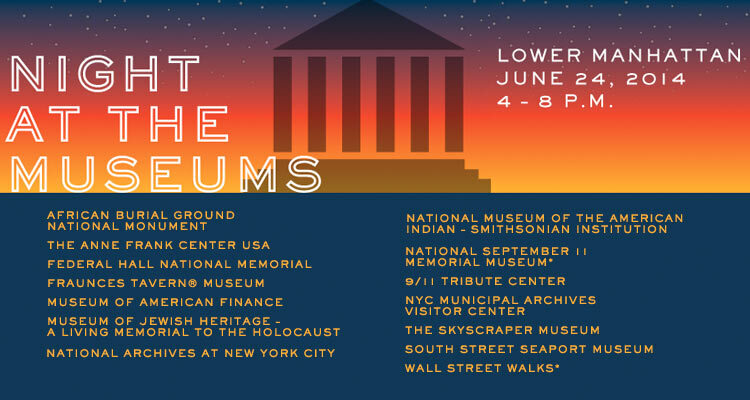 Spend Tuesday evening visiting museum and historic sites in lower Manhattan for FREE! Be sure to pick up your Night at the Museums Passport 2014 to enjoy special offers that will be good all summer long. For more information on Night at the Museums 2014 click here.